As if the minutes, hours, and days following an accident aren’t bad enough, there’s a realistic possibility that you’ll be subjected to more disheartening news when it comes time to renew your car insurance policy. Your auto insurance company may use your accident as an excuse to label you as a high-risk driver, regardless of who was determined to be at fault. Depending on your situation, you may be able to challenge your insurance provider’s decision, and maintain the same low rate that you paid prior to renewal. If you were not determined to be at fault, then you’ll have a good chance at winning such a case. If the accident was, in fact, considered to be your fault, you’ll probably have little to no chance of convincing your insurance provider to keep your rates where they were. However, there are still some things that you can do to ensure that you still get cheap car insurance after an accident. By taking advantage of the advice provided in these three tips, you’ll be able to keep your auto insurance rates low, no matter who was at fault. One of the easiest ways to ensure that you still have cheap car insurance after an accident is to drop comprehensive coverage from your policy. While taking such an action could make you slightly more vulnerable, it will help reduce your monthly premium to the affordable rate that you’re looking to get. Although you will have cut out the comprehensive coverage from your existing policy for the time being, you can always re-add it later after you’ve got at least 6-12 months without another accident or driving infraction. By raising your deductible from $250 to $500, or $500 to $1000, you’ll be able to cut your rates. 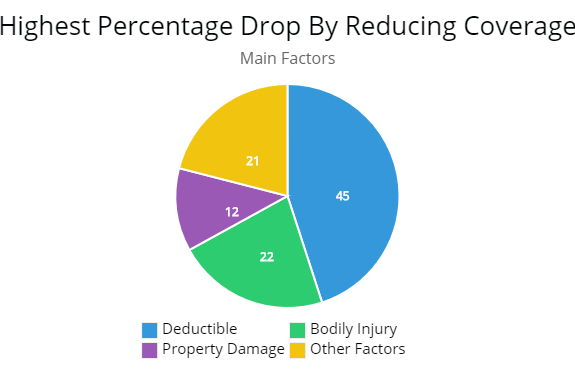 By reducing the amount of bodily injury liability coverage you should see a nice drop as well. Much like bodily injury liability, a reduction in property damage liability will help you save on your premium. Before making any adjustments to your coverage, it is best that you weigh the pros and cons of each. While saving with cheap car insurance may seem enticing, you’ll first want to make sure that you still have adequate coverage for your basic needs. Note 1: After an accident your insurance rates can skyrocket. One of the best ways to mitigate the increase in rates is to raise your deductible as indicated by the graph. *Other Factors would include any available discounts or shopping for lower insurance rates. This second illustration gives you more of an idea how much you can lower your rates simply by raising your deductible. However, you take on more risk. It is better to have insurance with the high deductible than no insurance at all. While this option won’t help you if you had an accident months earlier, it is definitely something you may want to consider in the future. Before you go and call the insurance company to report a minor accident, it might be in your best interest to first get an estimate on the damages from a trusted local auto body shop. If the damage to your vehicle is only a few hundred dollars more than your deductible, then it may not be worth filing a claim. After all, the amount you’d pay due to the increase in your car insurance would probably surpass the amount you would have paid if you just came out of pocket. Obviously, this won’t be an option if your car was totaled, but it is often the best thing to do with fairly minor accidents. Note: Every driver is a case by case with their insurance company. Your premium may or may not rise after an accident. 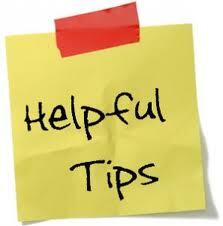 There are tens, if not hundreds of possible discounts offered by most car insurance companies. If you have not yet taken advantage of the discounts available to you, then now is as good a time as any. Contact your insurance company and find out what kind of discounts you may qualify for with your current policy. To find out what discount options are available to you, contact your auto insurance provider. Even if discounted car insurance is not immediately available after an accident, you may still qualify for rate reductions in the future. Even if your car insurance provider offers you some options to get cheap car insurance after an accident, you should still consider what other options are out there. Shopping around for car insurance could help cut your monthly premium by as much as 20% or more while allowing you to maintain your current coverage. Here at AutoInsureSavings, we make it easy to compare car insurance quotes. When you enter your zip code in our quote comparison tool at the top of the page, and then honestly answering a few quick questions, you’ll be provided with quotes from the leading auto insurance companies in your local area. That means you’ll be able to see which provider is offering you the cheapest car insurance after your accident.